Below please find our new marketing campaign for SEED Studios, LLC using the new Adobe Spark software. Please click on the image below. Back in July we were hired to create a new version of the "Peace of Mind" plan which we'll be calling it the "Peace of Mind III" plan (SS001B). The big change to this plan will be the addition of a walk-out basement to the plan and a half bath on the main floor. This is room in the basement for an additional bedroom and a full bath. 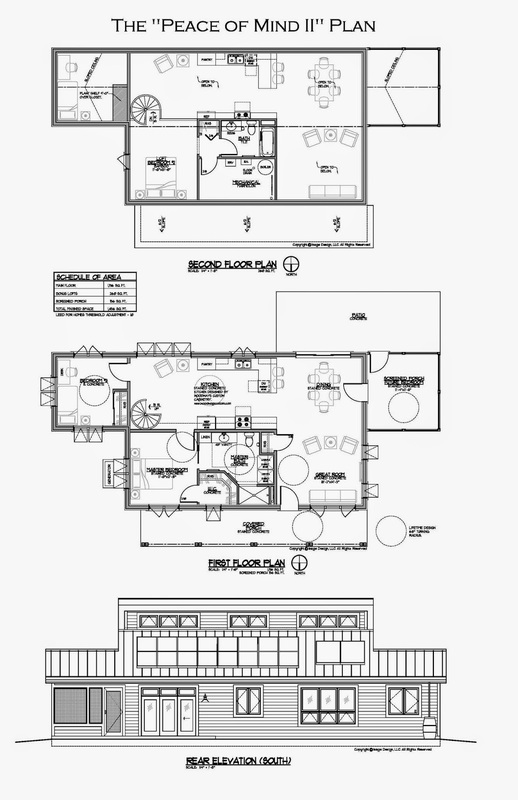 The first floor was design so you could add the screened porch or the addition bedroom wings on later. Please stay tuned for more updates on this project. Here are some updated pictures taken on November 20th of the "Peace of Mind II" plan that is being built on the Yellow Stone River in Montana. 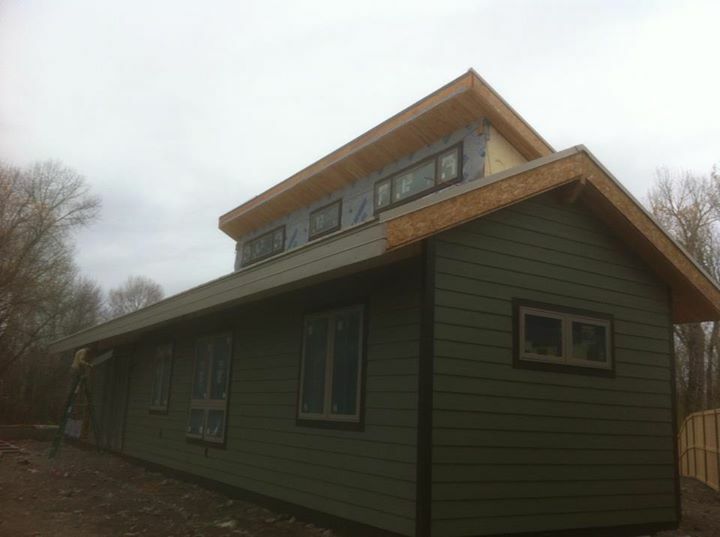 As you can see the Murus Structural Insulated Panel (SIP) roof is now on with metal roofing installed and the Andersen 100 series window are in along with the Allura fiber cement siding/trim being installed. The addition of the 3rd bedroom wing balance the house of nicely. Check back soon for more updates. 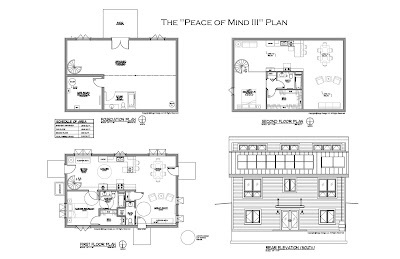 The Peace of Mind II plan is now under construction in Montana. 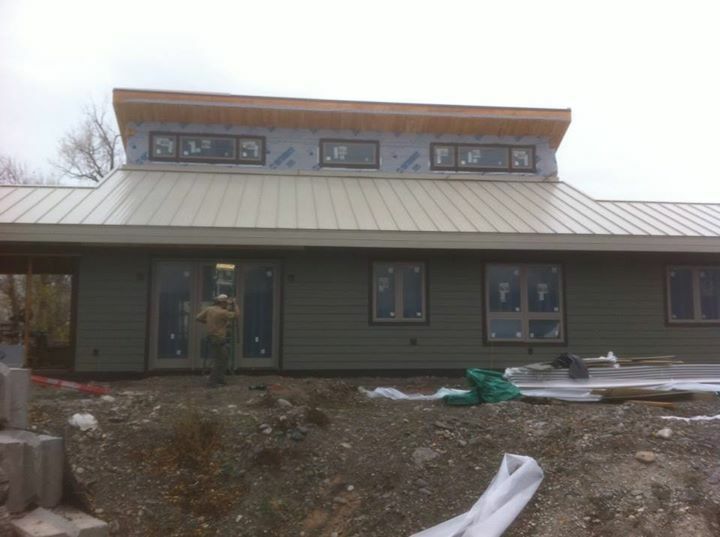 This home is a projected LEED for Homes "Platinum" project, the preliminary HERs score for this project is a 2 which is 98% more efficient than a standard built new home. 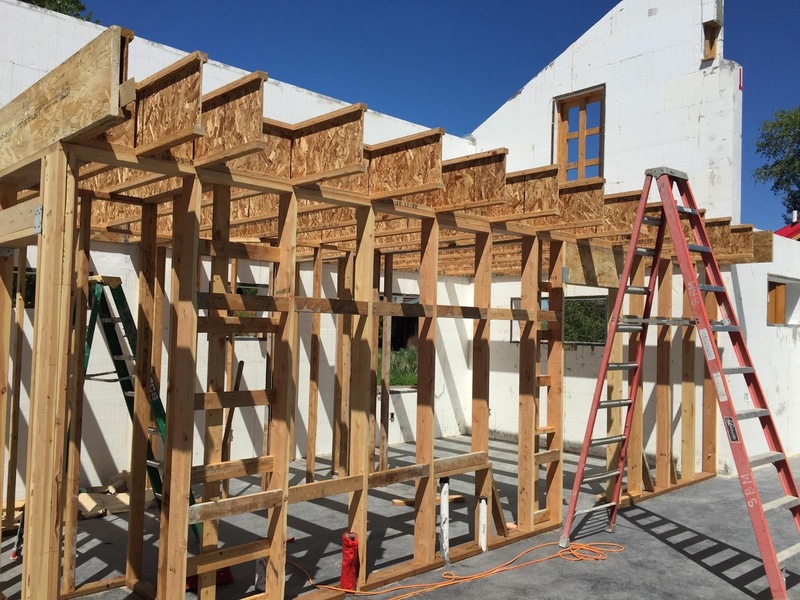 This Zero Energy Home will have a 4.5 kW wind tower and 4.8 kW of photovoltaic panels on the project for a total of 9.3 kW of reneawables. 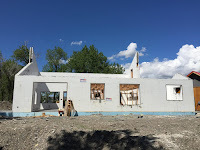 As you can see the BuildBlock ICF's are installed and they are working on the interior walls and the loft floor system. Please stay tuned for more new updated coming soon. 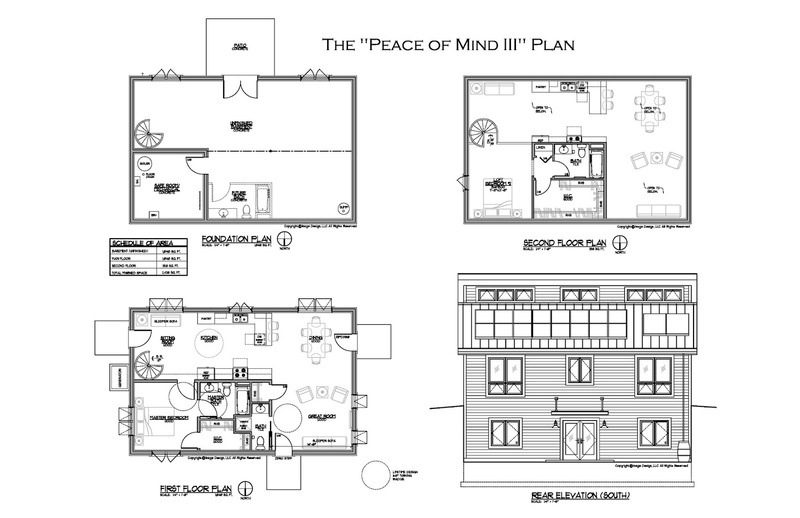 Thanks to our Montana Client we now have a three bedroom option of the "Peace of Mind" plan. We will be calling it the "Peace of Mind II" (SS001A). It has the option of making the screened porch a fourth bedroom. "Peace of Mind " plan (SS001) to be built near Billings, Montana! Great news we sold the "Peace of Mind" plan (SS001) to the people that stopped by a few weeks ago from Billings Montana area. They are making a few changes to the plan, they will be adding third bedroom to the east side by the spiral stairway (Great Idea). We are excited to be having it built in Montana beside already being built in Michigan and North Dakota. SEED Studios, LLC has a new Twitter account please follow us to keep up on the latest news from SEED Studios. Below is our new twitter link.